96 Powerville Road, Mountain Lakes, NJ on Tuesday, March 12, 2019, 6:30 p.m., for the purpose of approval of the Tentative 2019-2020 Budget. Joanne has lived in Mountain Lakes since 2003. She and her husband, Rich, MLHS Class of 1987, have four children, Richard, MLHS Class of 2015, Matthew, MLHS Class of 2018, Thomas, MLHS Class of 2021 and Emma, MLHS Class of 2024. Joanne has been an educator for the past 20 years, working first as a high school teacher and now currently as a high school guidance counselor at Parsippany Hills High School. Joanne earned an MA in Administration and Educational Leadership from the Rutgers Graduate School of Education and an MsC in Comparative Government from the London School of Economics and Political Science. Corbin moved to Mountain Lakes in 2017 with husband, Jason, and three children (classes of 2027, 2029, and 2032). She is a tenured Associate Professor of Higher Education at Columbia University’s Teachers College. Her research is about college rankings, teaching quality, faculty work environment, and academic rigor in higher education. She has published more than 30 articles, national reports, book chapters, and a book on these topics. Corbin holds a BA in Psychology from the University of Virginia, an MA in Higher Education and Student Affairs from The Ohio State University, and a PhD in Educational Policy from the University of Maryland. Joe has lived in Mountain Lakes since 2009. He and his wife Julie have two children, Micah (11) and Hudson (7). Julie is a dentist, and Joe has extensive experience in developing retail and mixed-use development projects. He has also worked closely with the executive team of a Fortune 500 company on overall company strategies and internal project management policies. Prior to working in real estate development, he worked as an owner’s representative on large manufacturing and office construction projects. Joe’s most memorable project was the renovation of six Detroit public schools and its substantial completion ahead of 30 other teams. Joe and his wife are active participants and donors to: Ounce of Prevention, Brain and Behavior Research Foundation, Smile Train, and Compassion International. Joe graduated from Temple University with a BS in Architecture and was the recipient of the Henry Adams Certificate for the top ranked graduate. In addition, he has dual Masters Degrees in Architecture and Construction management from University of Michigan; and an M.S. in Real Estate Development from Columbia University. Lydia has lived in Mountain Lakes since 2009 with her husband, Glenn Spoto, and their two sons, both of whom attend Mountain Lakes schools. She has served as a member of the borough’s Recreation Commission since 2012, and has volunteered as track and basketball coach for recreation leagues. As a volunteer for the Home and School Association, Lydia has served as Fundraising Chair, Briarcliff Chair, and Wildwood Book Fair chair/co-chair. Before leaving the work force to raise her family, Lydia was a VP of Business Technology at Deutsche Bank’s Private Banking pision. She holds a BA from Rutgers College and an MS in Information Systems from New York University. Jack has lived in Mountain Lakes since 1983 and currently resides with his wife, Rebecca. All of Jack's children are graduates of Mountain Lakes High School. Jack previously served on the Board of Education for two terms (1999-2005) and in those six years contributed significantly to many renovations and expansions throughout the district. Jack recently retired from the position of Dean of Students at New Jersey Institute of Technology. He has earned his B.A. from Binghamton University, M.Ed. from Rutgers University and Ph.D. from New York University. Jack has also been involved with the Community Church of Mountain Lakes as Trustee, Trustee President and Church Council Member At Large. James has lived in Mountain Lakes since 2003. He and his wife, Laura, have three daughters who are members of MLHS classes of 2021, 2023, and 2028. James practices ophthalmology at Lakeland Ophthalmology in Parsippany, which he founded in 2004. 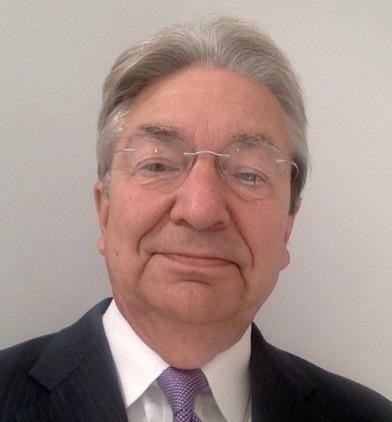 He is a board member of the Morris County Medical Society, and has previously served on the boards of the Lake Drive Foundation and the Medical Needs Foundation. James earned an AB in Economics from Brown University and an MD from NYU School of Medicine, where he also completed his ophthalmology residency. The Mancuso family has lived in Mountain Lakes since 2002. Rich and his wife, Jane, have four boys - Tim (Class of 2017), Michael (Class of 2018), Joseph (Class of 2022), and Richard (Class of 2024). Jane is a second grade teacher, and Rich has been in information technology sales for over twenty-five years. Rich has extensive experience as a negotiator and collaborator who is known for building relationships with strategic partners across multiple organizational levels. Rich has coached soccer, t-ball, baseball and wrestling. Rich served on the Mountain Lakes Recreation Committee. He was also the director of the Boonton Twp. /Mountain Lakes Youth Wrestling Program for seven years. Currently, he is the VP of Baseball Operations for the Briarcliff Sports Club and VP of Lakers Sports Club. Rich grew up in Bergen County in Washington Township, NJ. His wife is a 1986 graduate of Mountain Lakes High School, Rich graduated from Kutztown University with a BS in Business Administration. Jennifer has lived in Mountain Lakes since 2015 with her husband, Andrew Schinder, and their two sons, ages 6 and 3. An intellectual property attorney specializing in patent law, Jennifer has earned a Bachelor’s Degree in Biology from Cornell University, a Master’s Degree in Biochemistry, Molecular Biology, and Cell Biology from Boston University, and a Juris Doctor from the Benjamin N. Cardozo School of Law. Jennifer owns her own intellectual property practice, Scarpati Intellectual Property, LLC, and serves as an Adjunct Professor of Law at Cardozo, where she teaches two courses. Jennifer also serves as a member of the Morristown Community Soup Kitchen Board of Directors, and organizes a yearly backpack drive for needy students from around Morris County. Dawn and her husband Mike have lived in town since 2005 with their 4 children (Sarah ‘11, Lauren ‘12, Brad ‘15 and Garrett ’18). The Smith’s are very involved in the Mountain Lakes community from athletics and the arts to extracurricular clubs and volunteer initiatives. Dawn served as H&SA Chair & Co-chair for all 3 schools and was responsible for introducing the school directories for membership. In addition, she served as an MLEF Trustee, Laker Sports Club Trustee, Town Club House Tour Coordinator, Cultural Arts Chair, CCD Teacher, Relay for Life Organizer, Laker Lightning Tournament Organizer and currently is involved in Project Graduation and the Garden Club. She earned her BS from the University of Delaware and worked as a Mortgage Banker at Citicorp.&nbsp; Currently, she is in her 23rd year as a real estate agent for Weichert Realtors in Chatham, NJ. Anne came to the Mountain Lakes School District in 1995. She has her BA, MA, Ed.S and Ed.D from Seton Hall University. Anne assumed the role of Superintendent in 2011 has worked in all of our schools in various teaching and administrative roles including principal of the high school. Anne and her husband, Ronnie, have lived in Mountain Lakes since 2002. They have 3 children in our school system. Anne serves on all the Board of Education committees.